Arturo Arzate Jr., 49, a Border Patrol agent for 20 years, is accused of waving loads of drugs through the checkpoint on Highway 62/180 east of El Paso, federal court documents state. He was charged with conspiracy to distribute cocaine and bribery. He was arrested Aug. 16, 2007, by Mexican officials in Torreon in the state of Coahuila and extradited to the United States Wednesday. He had been a fugitive since February, officials said. The Border Patrol agent was "allegedly paid $50 per kilo of marijuana and $1,000 per kilo of cocaine he allowed to pass through the checkpoint between El Paso and Carlsbad." Imagine how high the markup must be on cocaine when you can pay a single cop $1,000 per kilo and still make a profit! For my entire lifetime, you could walk or drive into Mexico from Texas with no ID except a Texas driver's license; I didn't get a passport myself until the first time I went overseas. But starting today, every American entering Mexico must have a passport, thanks to the Department of Homeland Stupidity Security. Do you feel safer? I don't. Lots of Texans don't have passports who aren't a security threat, but all the 9/11 hijackers had fake passports that let them through security. So what's the point of this, exactly? Generations of Texans until now could visit the Mexican border without registering with the feds or having your travel recorded on a visa stamp (many people go back and forth quite frequently, after all, including regular commuters). So this adds more bureaucratic steps in the border crossing process and likely clogs up the borders in the short term while they work out the kinks and accommodate delays. If this improves security, though, I wish somebody could tell me how. UPDATE: Frequent crossers can apply for a special "passport card" that's only good for land crossings, not air travel, which tracks border crossing by RFID. RELATED: It's not just American tourists and maquiladora suppliers who need to cross the border. Al Jazeera, of all places, has a short piece on the "hundreds of thousands of lower and middle class Americans [who] have crossed the southern borders to Mexico, in search of everything from prescription drugs to alternative cancer treatments, still illegal in the US." Having once been hospitalized while traveling in Mexico, my experience has been that you can get pretty darn good healthcare there if you're able to pay, and at mind bogglingly low rates compared to US healthcare costs. Should harm to reputation be taken into account during punishment? In recent times under federal sentencing guidelines, the only way a defendant could receive a "downward departure" from mandatory sentence requirements has been to become an informant and enter into a "5-K" agreement with federal prosecutors. Prosecutors said federal guidelines call for a sentence somewhat longer than 24 months, but that the term would be sufficient for Lerach in light of the harm done to his reputation.... Lerach "stands in disgrace before the profession of which he considered himself a national leader," prosecutors said. They did give Lerach credit for coming forward on his own initiative with an offer to plead guilty and for having no direct involvement in the alleged conspiracy "for a considerable time." In this publicity-driven age, I'm particularly hopeful this reason for downward departures catches on, and it might mitigate quite a few federal prosecutions that I've seen as abusive of the state's power. As I replied in Doug's comments, "That could apply in a LOT of cases, it seems to me: Marion Jones and Dana Stubblefield come to mind." Indeed, there's little question that the ONLY reason the feds are pursuing celebrity steroid cases is to garner publicity, which they believe serves a preventive purpose. There's just as much or more evidence of widespread steroid use among law enforcement as among professional athletes, but the feds targeted athletes, we're told, because they're role models for young people, blah, blah, etc.. (As though police aren't.) The feds are pursuing a narrow class of defendants, ignoring even evidence of lesser players' use and going only for the big stars. I'm gratified to see this new justification for a downward departure on two levels: First, it's good to see the erosion, however slight of the idea that the only chance for a reduced sentence under federal guidelines is to snitch. 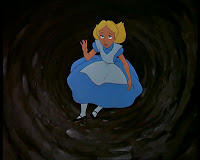 In addition, I think this particular reason for a downward departure comes up more frequently today than in the past, and this notion might limit particular instances of prosecutorial abuse. 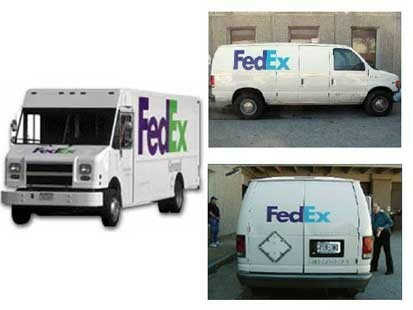 Savvy criminals are using some of the country's most credible logos, including FedEx, Wal-Mart, DirecTV and the U.S. Border Patrol, to create fake trucks to smuggle drugs, money and illegal aliens across the border, according to a report by the Florida Department of Law Enforcement. Termed "cloned" vehicles, the report also warns that terrorists could use the same fake trucks to gain access to secure areas with hidden weapons. The report says criminals have been able to easily obtain the necessary vinyl logo markings and signs for $6,000 or less. Authorities say "cosmetically cloned commercial vehicles are not illegal." In August 2006, the Texas Department of Public Safety, on a routine traffic stop, found 3,058 pounds of marijuana and 204 kilograms of cocaine in a "cloned" Wal-Mart semi-trailer, driven by a man wearing a Wal-Mart uniform. In another case, a truck painted with DirecTV and other markings was pulled over in a routine traffic stop in Mississippi and discovered to be carrying 786 pounds of cocaine. In 2006, the United States imported $198 billion in goods from Mexico and exported $134 billion to Mexico. This makes Mexico the third-largest trading partner of the United States and also makes it one of the more balanced major trade relationships the United States has. Loss of Mexican markets would hurt the U.S. economy substantially. That's an immense amount of legitimate trade crossing back and forth - most of it by highway through the main plazas or checkpoints - that effectively masks crafty smuggling operations, especially when high profit margins allow smugglers to effectively absorb any losses. The fact is, too many legitimate Fed-Ex trucks need to cross the border, and WalMart trucks, and DirecTV trucks, and anything else you can think of, to search every last one of them. (And drug dogs don't work well in a crowded checkpoint environment.) We've established vast maquiladora industries that are directly dependent on that kind of "low-friction" border crossing, to use Friedman's phrase. Add to that, the amount of legitimate traffic is increasing thanks to the Pacific Rim sending more and more US-bound goods through Mexican ports. It's hard to overstate the importance of the border economy to Texas, even for Texans who grow old and die having never visited there. Not just now but historically Texas' robust economic relationship with Mexico - mostly legal, but also illicit - contributes greatly to buoying the state from facing the full brunt of national economic downturns. Two thirds of the US border with Mexico is in Texas. If "securing the border" results in a reduction or slowing of legitimate north-south trade, Texas' economy will endure a disproportionate share of the negative impact. I'm a lot more worried about that than I am the nationality of the guys building the condos next door. Walls and patrols in the desert ignore the paths destined for most smuggling across the border, in both directions: To steal a line from James Carville, "It's the checkpoints, stupid." Success or failure at reducing both drug smuggling and illegal immigration depends mostly on how we handle the traffic flow at legal border crossings - much of the rest is public relations. Mexican police in five border towns - Reynosa, Rio Bravo, Matamoros, Nuevo Laredo and Valle Hermoso - are patrolling the streets only with batons after being disarmed earlier in the week by the Army for suspected drug involvement. No word when they'll get their guns back - the weapons were confiscated to see if any had been used in cartel-related killings. Regrettably, for all the hoopla, the occupation of municipal police stations appears to have netted few corrupt cops or cartel connections. Sounds like the bad guys were tipped off before it happened. Will the children and grandchildren of Los Zetas become Mexico's version of the Kennedys, parlaying a prohibition-generated fortune into multi-generational wealth and political power? The current efforts by the Mexican government might impede the various gangs, but they won’t break the cartel system. The supply chain along the border is simply too diffuse and too plastic. It shifts too easily under pressure. The border can’t be sealed, and the level of economic activity shields smuggling too well. Farmers in Mexico can’t be persuaded to stop growing illegal drugs for the same reason that Bolivians and Afghans can’t. Market demand is too high and alternatives too bleak. The Mexican supply chain is too robust — and too profitable — to break easily. The likely course is a multigenerational pattern of instability along the border. More important, there will be a substantial transfer of wealth from the United States to Mexico in return for an intrinsically low-cost consumable product — drugs. This will be one of the sources of capital that will build the Mexican economy, which today is 14th largest in the world. The accumulation of drug money is and will continue finding its way into the Mexican economy, creating a pool of investment capital. The children and grandchildren of the Zetas will be running banks, running for president, building art museums and telling amusing anecdotes about how grandpa made his money running blow into Nuevo Laredo. It will also destabilize the U.S. Southwest while grandpa makes his pile. As is frequently the case, it is a problem for which there are no good solutions, or for which the solution is one without real support. Interestingly, Friedman seems to think that legalizing drugs would be the most effective solution to limiting cartel power, to "allow easy access to the drug market for other producers, flooding the market, reducing the cost and eliminating the economic incentive and technical advantage of the cartel." But that's a "political impossibility" in the US, he says. Still, the notion that the Zetas' grandkids will consider it quaint that grandpa was running blow to Texas implies that Friedman sees drug legalization as a perhaps inevitable long-term solution. Friedman's article is an excellent, honest assessment of the problem and well worth reading the whole thing. Via Blood and Treasure. What do we know about US-side cartel infrastructure? Might open-sourced criminal intelligence protect journalists and strike a blow against multinational drug cartels? Too short TYC search for new executive director? I'm sure that's true. Conservator Richard Nedelkoff already said he had a short list of candidates in mind, so this doesn't bother me a lot - I already expected him to pick his own person. Under acting executive director Dimitria Pope, often top jobs weren't posted at all before they were filled, so personally I gave the conservator credit for at least going through the motions. That said, if Harrington or anybody else have folks in mind they think deserve a shot, by all means forward them the job description. The job was posted last Friday, so it's still open through Thursday (Jan. 31) for anyone masochistic enough to apply. a state district judge in Dallas who says Womack is ripe for defeat because he was fined $20,500 by the Texas Ethics Commission and sanctioned by a judicial ethics agency for failing to file seven campaign finance reports during the 2002 elections. At the time, Womack blamed the lapse on attention-deficit disorder and a problem with procrastination. That explanation — made in a 2003 closed-door session of the State Commission on Judicial Conduct but revealed when the agency issued its sanction — was not widely discussed at the time beyond a few newspaper articles and Internet forums used by lawyers. Francis, however, said the episode raises questions about Womack's continued tenure on the state's highest criminal court. Womack now says the ADD prognosis was incorrect, that he just didn't fill out the correct paperwork. Whatever the case, to my mind his greater sin has been to be a reliable vote for Presiding Judge Sharon Keller, under whose leadership the court has become a national disgrace. Judge Francis has moved over 15,000 cases through the Dallas County court system. Although his daily court schedule keeps Judge Francis extremely busy, his commitment to finding new ways to deal with the ever increasing crime rate led to the formation of the first Re-Entry court in the State of Texas. The Dallas SAFPF Re-Entry court is designed to stop crime by preventing addicts from returning to their addiction. Probationers who complete the Substance Abuse Felony Punishment Facility (SAFPF) program return to Judge Francis’s court for intensive aftercare to ensure compliance with the conditions of their probation. This program has had one of the highest success rates of any treatment program in the country. The results ensure that people who complete the SAFPF Re-Entry Court curriculum will not return to their criminal behavior and this prevents the citizens of the State of Texas from becoming victims. This court has received local, state and national recognition for its success. In the Statesman article, though, Francis doesn't seem like he's running on a platform to shake up the court: "I think I'll bring a new personality and dynamic to it," he said. "I think there needs to be a higher degree of collegiality." Personally I think there needs to be a lot LESS collegiality. I think judges on the CCA need to stand up to Presiding Judge Sharon Keller more often to keep stuff like the Michael Richard debacle from recurring. In the last six months of 2007, Francis reported raising almost $44,800 in campaign donations. In a race that has traditionally favored the incumbent, Womack raised $103 in the same period. Francis has been endorsed by quite a few Dallas area Republicans like Jerry Madden, Will Hartnett, Jodie Laubenberg and other prominent names, including GOP DA candidate Toby Shook who barely lost to Craig Watkins in 2006. Texas Eagle Forum even backs his candidacy. These downballot races are hard to contest, and history shows it's folly to bet against an incumbent CCA judge in a primary (ask Terry Keel), but Judge Francis certainly looks like a serious candidate. Since Dems haven't won a statewide race in Texas since 1994, Francis' candidacy might be the best chance to oust an incumbent CCA judge this year. In a court that desperately needs new blood, perhaps Judge Francis will turn out to be a live one. Because children of incarcerated parents are 6-8 times more likely than their peers to wind up in prison themselves, I've long believed that whenever the state chooses to incarcerate a parent of a minor child, a rational crime prevention strategy would focus significant resources for psych counseling, tutoring, mentoring, and other services for their children. That's the implication to me of a story in USA Today ("For many of USA's inmates, crime runs in the family," Jan. 29) about the extensive family ties among prisoners. Crime, just like affluence, tends to run in families. "In Texas, which has executed six sets of siblings, there are two sets of cousins on death row. An additional dozen or so death row inmates have relatives serving time in other parts of the state prison system, spokeswoman Michelle Lyons says." While I don't believe one's bad childhood should excuse criminal behavior, when we know that childhood influences contribute to crime, particularly among children of incarcerated parents, it makes good sense to focus prevention resources there. RELATED: An alert reader points out that strategies used by the nonprofit described in this Grits post might be a good model, at least a starting point, for a county level program aimed at children of incarcerated parents. Are more Texas kids using drugs, or are more schools spending resources trying to catch them? In the Texas Education Agency region that includes Dallas, Collin and Rockwall counties, the number of incidents in which students were disciplined for drug infractions rose 13 percent between 2005-06 and 2006-07, according to data compiled by the TEA. And in the TEA region that includes Denton, Tarrant and Wise counties, the number of incidents rose 50 percent over the same period. the TEA will compile data for the current school year by December. Statewide, the number of reported nonfelony incidents increased 10 percent over the same period. Felony-level offenses, such as heroin possession, jumped 38 percent statewide, an increase officials speculated was due at least in part to the spread of cheese heroin in Dallas-area schools. The figures, which the TEA got from school districts, include any drug-related activity that resulted in discipline, from suspensions to arrests. The data include misdemeanors and felonies but don't reveal which drugs were involved. The Fort Worth school system had the biggest increase in reported incidents among large districts, with the numbers nearly tripling from 132 to 381 from 2005-06 to 2006-07. In the Houston school district, the state's largest, reported incidents dropped from 1,074 to 914. Administrators in Fort Worth couldn't explain the rise. "We can't attribute it to anything other than we caught more people," said Clint Bond, Fort Worth school district spokesman. "There are spikes in different categories from year to year. I can't say there's an increase in drug use but just that we caught more people." It's hard to tell what to make of these numbers, especially when the aggregate stat is broken down by school district. I don't necessarily believe that drug use by Houston students declined or that in Fort Worth it tripled. Instead, these numbers likely represent changes in enforcement patterns or tactics at certain districts like Fort Worth; you catch more fish with a net than a pole, after all. And some Texas school districts appear to be casting the net more and more widely every year. Informants or "snitches" have been called the "life blood" of police work, says the New York Times, but they may also be a "poison." The issue of confidential informants was thrust into the spotlight last week by news that four narcotics officers in Brooklyn had been arrested, in a case that involves accusations of paying informants with drugs seized from dealers the informants had pointed them to. The officers are not suspected of making any illegal profit, and one law enforcement official has said police officers’ trading of drugs for information in the pursuit of arrests could be described as “noble-cause corruption.” The practice would, however, shatter police policy, break the law and, in the view of police commanders and prosecutors, erode the integrity of officers. The scandal has led the Brooklyn district attorney’s office to seek the dismissal of about 150 drug cases, with hundreds more under review. Besides the arrests — of a sergeant, a detective and two officers in the Brooklyn South narcotics bureau — six additional officers were suspended and several others were placed on modified or desk duty, barred from doing enforcement work. Four supervisors were transferred and a new commander was assigned to the Police Department’s Narcotics Division. Confidential sources are generally recruited and managed in secret, and their numbers are hard to determine in large police departments like New York’s. The Federal Bureau of Investigation, according to its budget request for 2008, maintains more than 15,000 secret informants; the Drug Enforcement Administration, according to an internal audit from 2005, has about 4,000 at a time on its payroll. Texas recently saw our own case of a police officer trading drugs to a snitch for information, and the Texas Court of Criminal Appeals remarkably ruled that the practice did not amount to "evidence tampering" under Texas law. I'll bet that's not the result in New York. I was particularly interested in the statistics on paid DEA and FBI informants. State and local agencies also maintain their own stables of informants, typically with less regulation, even than federal agents, who themselves by policy sometimes knowingly tolerate violent crimes by informants in the field. Just as disturbing, and directly relevant to the Brooklyn case, in the recent national wave of exonerations based on DNA evidence, false testimony by informants has been the second leading cause of wrongful convictions. This dark underbelly of law enforcement has long deserved greater scrutiny, and maybe we're reaching a critical mass of public attention on the topic from cases like this to push the issue to the fore. MORE: From Simple Justice and the ACLU Blog. The decision by the Bexar County DA to use needle exchange-related prosecutions for political grandstanding appears to be backfiring, at least to judge by the media response. What a ridiculous misuse of the law. Intent is all-important in the law. If [73-year old volunteer Bill] Day and his organization were intending to make money from the sale of needles, or were intentionally promoting drug use in any way, we would be the first to call for their prosecution. But Day is working both to ease suffering and to promote the general public health. For that, he and his group are not being prosecuted, they are being persecuted. This points out that Texas needs to have some provision that allows needle exchange programs — at the very least as a pilot project and with responsible groups such as the Bexar Area Harm Reduction Coalition. Bill Day is no criminal, he is closer to being a hero who is following his faith and taking care of people when no one else wants to bother with them. The incident makes a a mockery of clear thinking in this state when it comes to containing infectious disease among intravenous drug users, the people who love them and even their babies: Texas is the one state in the union in which it is illegal to run a needle exchange program of any kind, even though such programs have been shown to reduce the spread of HIV infection and hepatitis. In 2007, the Texas Senate approved a bill that would have allowed local governments to operate needle exchange programs everywhere in the state, but in the House that authorization was whittled back to Bexar County only. With key opponents departing the Legislature and the Governor's office, I anticipate such legislation could receive an even more positive reception in 2009. The Bexar DA is swimming against the tide of history on this issue, not to mention defying common sense and many in her own party. Her threat to prosecute county health workers who participate in a needle exchange pilot is more over the top, even, than the "mockery of clear thinking" in Bill Day's case. It's likely Day's ministry wouldn't have been out exchanging needles in the first place if Reed hadn't blocked the county program. Reed's use of her law enforcement powers to promote her political positions discredits not just her but the system. One hopes the Attorney General will rule soon that the DA can't drag people into court for implementing a legislatively authorized pilot, then Day and Co. won't need to break the law in order to prevent disease among San Antonio's addicts. Conservatives must choose: Are they Anti-'Amnesty' or Pro-Business? Between 8 percent and 9 percent of the Texas workforce is estimated to be in the country illegally, according to an analysis of 2005 U.S. Census data by the nonpartisan Pew Hispanic Center done for The Dallas Morning News. That's nearly twice the national average of about 5 percent. So a crackdown on employers in Texas – in agriculture and construction in particular, where the percentage of workers is higher – could have a major impact, some analysts and employers say. According to the state comptroller's office, illegal immigration drained hundreds of millions from local governments in fiscal year 2005 but provided a boost of nearly $17.7 billion to the state. "To do anything to dramatically reduce the Texas workforce would have pretty severe consequences," said Ray Perryman, an economist with the Perryman Group, an economic and financial analysis firm in Waco. It's neither wise nor realistic to advocate expelling 8-9% of Texas' workforce. How can anyone think it would be? Nor is it wise to harass them or keep them as second class citizens. For that matter, it's unwise to forbid them from getting a drivers license, which means they can't buy auto insurance. While the comptroller said illegal immigration costs hundreds of millions to local governments in Texas, the billions gained by the state overall show that's not a problem with immigration per se, but a mis-allocation of resources caused by restrictions on immigration. If currently "illegal" immigrants working here were allowed to get drivers licenses, car insurance, social security numbers and pay taxes, those problems for the most part could be resolved. We can't and won't expel that much of Texas' work force - it would be practically impossible and economically devastating - so most of those folks, like it or not, will end up staying in Texas by hook or by crook. Self-described "conservatives" must make a choice: They can be either anti-"amnesty" or pro-business, but they cannot be both. The string of recent corruption stories coming out of Texas cities and law enforcement around the state makes me think the topic nearly deserves its own independent blog: No doubt you could productively focus on the topic full time. Part of me feels good that these cases are being prosecuted, since we're now seeing them with so much greater frequency. On the other hand, they just keep coming, and part of me is beginning to wonder exactly how deep this rabbit hole goes? Former Bastrop County Sheriff Richard Hernandez and County Commissioner David Goertz, both accused of misusing public money, pleaded guilty Tuesday to corruption charges under plea deals that require Hernandez to serve jail time and Goertz to resign from office. According to his plea agreement, Hernandez will spend 90 days in jail, will be on probation for 10 years, will forfeit his peace officer's license and will pay the county $16,000 in restitution. The county will also receive $3,750 that Hernandez deposited in a court restitution account after his indictment. The money was intended to repay the county for materials used to build barbecue pits that Hernandez was accused of selling for personal profit. Hernandez, 52, served as sheriff from January 1997 until he resigned in May after his indictment. The most serious allegations against Hernandez involved a scheme to pay for a new pickup for his personal use that he arranged with a convicted drug dealer who is accused of running an illegal gambling operation in Bastrop County. Once may be an isolated incident, but twice is a pattern and I'll bet this won't be the last case we hear in Texas of local officials exacting las mordidas from local gambling outfits. Taking bribes to protect a gambling operation is what recently brought down the Laredo police chief and several of his officers. If we must have a wall, where should we build it? You can choose multiple options. For example, personally I favor leaving the border with Mexico more or less open, but walls on the Red River or on the western border to keep out the Californians and Arizona suburbanites would be fine with me! ;) In fact, Kathy predicts the option of a wall to keep out Californians will win hands down. We'll see! Let me know your preference in the sidebar poll and the comments. The U.S. side of the border has not been exempt from drug violence. Cartel leaders in Nuevo Laredo have successfully ordered hits on rival drug dealers on the U.S. side. And U.S. lawmen have increasingly become targets. Border Patrol officials said violent assaults on agents along the Southwestern border totaled 987 in fiscal 2007, a 31 percent increase over the year before. The most recent assault occurred Jan. 19, when a civilian Hummer carrying drugs ran down a Border Patrol agent near the Arizona-California line. Border Patrol officials said the killing was intentional. Border Patrol Chief Aguilar's observation is the insight motivating me to focus more in recent months on the threats from cartel violence. You can be for or against drug prohibition. You can be for or against expanded immigration. Each are legitimate positions. But you can't be in favor of these mass-murdering thugs: Any serious drug policy reform agenda must include, IMO, a way to confront this growing threat from organized crime. The sheriff said the cartels are battling over control of entry points into the U.S., not U.S. turf. "The cartels know we're better trained, better equipped and not as corruptible as our Mexican counterparts," [Hidalgo County] Sheriff [Guadalupe] Trevino said. "If a gunbattle erupted in Hidalgo County and a police officer or a civilian was killed, the cartels know the wrath of God would fall on them." Mr. Reay said the Texas Sheriff's Coalition has joined with border law enforcement agencies in three other states to form the Southwest Border Sheriff's Coalition to share intelligence and enforcement methods. I don't buy for a second the Hidalgo Sheriff's claim cartels don't operate in the US because the border law enforcement too diligent! That's a bit of self-serving PR flotsam. Besides, if the drugs come north, common sense tell us that the money (and guns) must head back south directly through these agencies' jurisdictions. That said, I was interested to see this chart showing (pdf) that the US side assaults on Border Patrol agents is much higher in Arizona and California than in Texas entry points; the Rio Grande Valley had the highest Texas numbers. That must be partly because a river separates the two nations in Texas, while in Arizona the border is an imaginary line in the dirt. Or maybe in Texas the fix is in deeper in law enforcement than in those other states? I don't know what explains those disparities, particularly since the I-35 route through Laredo is the main throughfare the Sinaloa and Gulf cartels have been feuding over. Personally I'm still skeptical that President Bush's $1.4 billion anti-drug package to Mexico is a wise investment, nor do I think the Mexican Congress will accept stipulations the US Congress seems intent on adding to the aid package. Instead, I'd like to see those resources focused on undermining the cartels' infrastructure on the US side, starting with well-funded, wide ranging investigations of money laundering and police corruption. What do we know about US-side drug cartel infrastructure? Ever since I learned last spring during legislative committee hearings that Governor Perry's border security initiative basically amounts to a Laurel and Hardy routine, I've been paying a lot more attention to the threat posed by drug cartels' violence and corruption trickling (at this point, pouring?) across the border onto US/Texas soil. I may not think arresting drug users is the answer to any problem I believe needs solving (on that me and the Texas Department of Public Safety Narcotics Division agree), but that doesn't mean I have any common interests with the killers and thugs who're turning parts of Mexico into a full-blown battle zone. Thanks to massive amounts of legal, desirable commerce that's largely unappreciated by those who've never visited the border, a wall cannot stop corruption or drugs from entering the US. Nor will it keep drug cartels (or immigrants) out, not when smugglers are capable of building tunnels across the Rio Grande, for heaven's sake! Only Mexico can fight Mexico's battles. They're a sovereign state and we can't control what goes on there. But we can pay attention to what's happening on the US side. Despite a steady supply of drugs nationwide, US drug seizures overall dropped in 2007. Legitimate north-bound border traffic will continue to increase, making expanded inspections impossible without harming commerce. Currently less than 1% of vehicles entering the country are searched. The Mexican Attorney General alleges that a fleet of 50 US-registered planes was sold to the Sinaloa cartel by unidentified American interests, including one captured and one that crashed in the last year, both filled with tons of cocaine. Someone has begun using submarines to transport drugs by sea. Heightened enforcement has empowered cartels to seize control of immigrant smuggling, making illegal immigration more entangled with organized crime than ever before. Corrupt local police officers on the US side sell protection to smugglers on a per-load basis. Cartels purchase firearms in US - particularly at gun shows in Houston and Dallas - that are smuggled into Mexico and used in nearly 100% of drug related killings. Old Model: Gulf, Juarez, Tijuana cartels appear to be more of a gatekeeper for other, smaller smuggling groups, largely in collaboration with local law enforcement. New Model: The Sinaloa federation appears to have a more corporate-esque structure with a vertically integrated supply and distribution chain. And they don't want to pay any tolls for the privilege. Seventy employees of currency exchange company taken into custody in Mexico City, accounts frozen at Wachovia (Miami) and Harris Bank (Chicago). Another currency exchange with ties to US banks was recently taken down by authorities for laundering Euros. Drug cash is used to purchase cars in the US to re-sell in Mexico. Makes you wonder what an investigation of new and used car dealerships might turn up, huh? A subcommander of Los Zetas, the Gulf Cartel's enforcement arm, did his grocery shopping in McAllen where he was arrested last summer buying watermelon. Los Zetas train US-citizen teenagers in America as young as 13 to work as hitmen, assassins and fighters in their war with the Sinaloa federation. Los Zetas have been blamed for US-side murders as far north as Dallas. One of these "Zetillas," or "little Zetas," allegedly participated in 30 murders on both sides of the river before his 17th birthday, according to Laredo police. In Laredo, more than 25 US children have been kidnapped and held for ransom in Mexico. The Chinese businessman in whose Mexico City house authorities found $220 million in drug money lived in New York City (where he was arrested) and claimed most of the cash was for paying off members of President Calderon's ruling PAN political party. A former El Paso FBI regional director allegedly took bribes from an informant. Numerous official corruption cases at all levels routinely popped up in the MSM, each usually portrayed as an isolated incident. Extensive allegations of corruption on both sides of the river in the El Paso "House of Death" case were never fully vetted because a man who participated in multiple murders while working as a ICE informant was quickly extradited to Mexico before he could testify. He claimed Juarez police kidnapped and murdered people on behalf of the eponymous cartel, and that local ICE officials also took bribes. His description of the Juarez cartel, reported the Dallas News, "reveals 'The Office as a business enterprise in which no one is indispensable and in which dozens are killed each year for disciplinary reasons." A Laredo Drug Task Force Deputy Commander directed cartel smugglers around enforcement. Each of these is reported and portrayed as an isolated incident: My goal is to look more broadly for patterns indicated by these disparate, far flung data, possibly suggesting "outside the box" solutions to what's obviously a growing security concern, though it has nothing to do with terrorism. What else can we say about the US-side cartel infrastructure? As a policy matter, how do you get a handle on a problem this big? (Even for those who leap to say "legalize," large-scale criminal smuggling organizations like those described here still must be confronted.) There needs to be a broader conversation about short-term answers, because what we're doing is not working, from any perspective. Please leave any related thoughts, leads, hunches, or other suggestions for further inquiry in the comments. 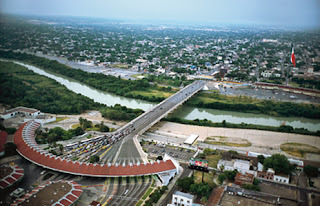 Image of the Laredo international bridge via Penny de los Santos. Not a terrific shock, but according to Grits' latest reader survey, 20% of Grits readers are attorneys, 21% government workers, 6% are cops or others with a badge, and 53% identified themselves as "civilians," given those four options. In all, 466 people responded. I wonder what other categories folks think I should have included that might comprise a significant bloc of Grits readers? Offer any suggestions in that regard in the comments. Grits tends to average about 2,000 visitors per day on weekdays, FWIW, though I'd guess respondents tend to reflect "regulars," not all visitors. According to Google Analytics about half of Grits visitors are search engine hits, so I doubt those numbers apply to those folks. In any event, thanks for visiting, everybody! If you haven't already, please bookmark Grits for Breakfast on your web browser. Or, if you're a little more tech savvy, subscribe via RSS feed. If you use a personalized Google or Yahoo! home page or other personalized web interface (highly recommended), you can easily add Grits headlines just like any other site with an RSS feed. Thanks for reading and participating, and tell your friends and colleagues who may be interested about Grits. The stuff I write here mostly matters because y'all show up every day and read it, respond, pass it on, or occasionally even act on it, so I really appreciate y'all dropping by. I've wondered frequently before who are the "drug kingpins" on the US side of the border, and speculated that the best way to find out would be to follow the money. In September, a U.S. registered Gulfstream II business jet carrying 3.3 tons of cocaine crashed in Mexico's Yucatán Peninsula. A year earlier, a DC-9 aircraft loaded with 5.7 tons of cocaine from Venezuela was seized in Mexico by Mexican soldiers. Both of the planes were purchased through a Mexican exchange house called Casa de Cambio Puebla, and that's turning into a problem for Wachovia, the fourth biggest bank in the United States, and Harris Bank, the Chicago unit of Canada's BMO Financial Group. One of the two planes turns out to have flown in and out of Guantanamo Bay a few times, which has led some to speculate straight up US government involvement in drug smuggling, since only someone with significant government clearance would be allowed in the restricted airspace. Then, in November 2007, seventy employees of Casa de Cambio Puebla were taken into custody in Mexico City, and accounts were frozen at Wachovia (Miami) and Harris Bank (Chicago). In an indictment released over the holidays, the Mexican Attorney General alleges that money from the currency exchange was used to purchase a fleet of 50 American-registered aircraft, including the two captured full of cocaine in Mexico. The use of currency exchanges to launder money appears to be fairly common practice, though I'm certain it's not the only method. A Chilean smuggler laundered Euros through his own chain of Casas de Cambio, funneling tens of millions of dollars through accounts at Israel Discount Bank of New York; Harris Bank in Chicago; and J.P. Morgan Chase in Dearborn, Mich., the Wall Street Journal reported recently. It's hard not to notice Harris Bank cropping up in both scandals, isn't it? (When it comes to following money trails, I'm not a big believer in "coincidence.") Harris Bank was also one of ten institutions named by Sen. Carl Levin in 2001 as a "significant gateway" for money laundering. Meanwhile, I've been harping on WFAA reporter Byron Harris' reports out of Dallas that the Ex-Im Bank gave massive loans to cartel figures, and criticizing new Ex-Im Bank guidelines for failing to make preventive anti-corruption measures mandatory. It turns out the Chairman of Ex-Im Bank's advisory commitee is Wachovia's General Counsel, a former Marine and Naval Academy graduate Mark Treanor. Again, it's hard not to notice that Wachovia's top lawyer finds himself in a uniquely central position in two different federal investigations. Not only must his legal team react to allegations of Wachovia's money laundering involvement, at the same time the Ex-Im Bank, whose advisory committee he chairs, is allegedly loaning money to drug cartel figures. Interestingly enough, Mr. Treanor has been selling off quite a bit of Wachovia stock over the past couple of years. Perhaps he knows something we don't? No conclusions to be drawn here yet, I'm just looking at recent, published reports hoping to connect a few dots. But if there really are "American drug lords" out there, I'm starting to think maybe they're bankers. The Texas Youth Commission has just posted the job for a permanent executive director on its website. As the Dallas Morning News editorial writers said today on the op-ed page, "We hope Dimitria Pope, the acting executive director, enjoys that new $600 office chair, since it sounds like she won't be sitting in it much longer." Texas Monthly names Harrell one of group "who will shape Texas' future"
Texas Monthly named Youth Commission Ombudsman Will Harrell one of its 35 People Who Will Shape Our Future. Congrats, Will! The two first met in 2001, when Harrell was the executive director of the ACLU of Texas and Kimbrough became executive director of Perry’s criminal justice division. The ACLU had been pushing for reforms in the drug war, and seizing on a notorious police corruption scandal in the Panhandle town of Tulia, Harrell assembled a coalition to shut down the state’s scandal-plagued regional drug task forces. It was his first major organizing campaign as head of the ACLU of Texas, and though it took a few years to gain momentum, it became a stunning success. The governor eventually allowed the task forces to die on the vine, shifting funding and responsibility for statewide drug enforcement back to the more disciplined and better-managed narcotics division of the Texas Department of Public Safety. Harrell followed this win with hard-fought victories on racial profiling and sentencing reform. He had a knack for attracting grant money from national foundations, some of which had previously written off organizing in Texas, and he accomplished all of this at a time when progressive wins were few and far between at the Capitol. There was a brief moratorium in Texas during the 1920s, when they shifted from hanging condemned inmates in the county jails to killing them in Huntsville. When they finally got the new electric chair system set up, they electrocuted five men on the same day in 1924 to make up the backlog. I don’t think we’ll see that many at once, but we might set a [modern] record for the number of executions in a single month as soon as the death penalty is reinstated. Read the rest, check out the interview with Harrell, or see who else TM profiled among its 35 movers and shakers, including Charles Kuffner, our good pal from Off the Kuff. So which is it: Is Dallas one of the most crime-ridden cities in the country with robberies of businesses on the rise, as the Dallas New tells us ("Banks continue to cope with spate of robberies: 2007 total falls just below record, business breakins rise 10%," Jan. 9), or have surveillance cameras miraculously reduced crime in Dallas' business district by 28% in their first year, as the Downtown Dallas Association told the Austin Statesman this week ("Acevedo wants to put police cameras in key areas," Jan. 24)? I've argued previously that instead of "multiplying" officers' ability to monitor crime, even when they "work," surveillance cameras usurp police management decisions by over-allocating scarce resources to monitored areas. 40% of people were targeted for "no obvious reason", mainly "on the basis of belonging to a particular or subcultural group." "Black people were between one-and-a-half and two-and-a-half times more likely to be surveilled than one would expect from their presence in the population." Thirty percent of targeted surveillances on black people were protracted, lasting 9 minutes or more, compared with just 10% on white people. Those deemed to be "out of time and out of place" with the commercial image of city centre streets were subjected to prolonged surveillance. "Thus drunks, beggars, the homeless, street traders were all subject to intense surveillance". One out of ten women were targeted for “voyeuristic” reasons by the male camera operators. "Finally, anyone who directly challenged, by gesture or deed, the right of the cameras to monitor them was especially subject to targeting. There's another problem with camera surveillance for crime fighting purposes that's seldom discussed. Cameras can be defeated with inexpensive, low-tech means, like sunglasses, hats, hoods, minimal disguises, or a six cent paintball pellet. So it's very easy to thwart the cameras, but whenever a crime occurs, officers have to watch hours and hours of video, usually with little benefit to the case. And while they are doing that, they are not investigating crimes. That last bit about cops wasting time watching video isn't just me talking. I borrowed the notion from a "world-weary" London cop/blogger who wrote in 2006 that "CCTV viewing occupies a disproportionate amount of police time with very little tangible result. This fact is well known to street criminals." When both cops and the street criminals know cameras don't actually combat crime, the only reason left to favor cameras is to fool the public into thinking you're doing something as a PR stunt. RELATED: Pink Dome has some questions for the Chief that can't be answered with more government camera surveillance. Dr. Ben Raimer from UTMB says more than 50% of physician slots at UTMB are vacant!! CORRECTION: Apparently I (and every reporter and senator in the room) misheard Dr. Raimer; the UTMB PR director contacted me to say that Raimer said 15%, not 50%, of doctor positions are vacant. I apologize for the error. In addition, said Raimer 18% of registered nurses slots and 18% of mid-level practitioners positions are currently unfilled. Raimer said the Lege increased salaries for nurses and pharmacists, therapeutic staff, and as of Jan. 1 increased pay for physicians, who make between $140K to $160K per year. Sen. Robert Deuell, who is a medical doctor, was particularly concerned that L.V.N.s were making "medical assessments" of seriously ill or injured people, or at least in the case described in the Chronicle. UTMB claimed the LVN may have called a physicians assistant working at another unit, but Deuell walked through the documentation to show that such a conversation was never recorded in the file. The state is still suffering, Raimer said, from the 2003 budget cuts, and also higher cost related to the increase in the number of older and elderly inmates. Every year 1.5% more people come into TDCJ, he said, but 14% more every year turn 55 years old, after which they have 5-6 times more medical visits than younger offenders. Nearly a decade into the 21st century, Texas prisons will finally enter the 20th and install phones soon in all TDCJ units, thanks to legislation approved by the 80th Texas Legislature. The Texas Board of Criminal Justice on Wednesday approved rules governing use of telephones, and agency officials said they would draw up within a few days proposals for bids from companies hoping to land a contract to install and manage the phones in the nation's second-largest corrections system. Texas is believed to be the only state not to have such a phone operation. Prison administrators traditionally had opposed routine phone privileges, arguing telephone access raised security and staffing concerns. But state lawmakers, saying technology had overcome the long-standing uneasiness, overwhelmingly passed a measure last year that directed prison officials have a phone system contract in hand by Aug. 31. "We're following what we were told to do," said Christina Melton Crain, chairman of the prison board. "During the last legislative session, the state leadership mandated that the board and agency put such a phone system in place. "The implementation of these policies is the first step toward making this mandate a reality." Some corrections experts believe the availability of phone communication allows inmates to keep in regular touch with relatives, that allowing continued phone access can be used as an incentive for good behavior by a convict, and that it can ease the financial strain on relatives who want to visit an inmate in a prison far from them. How much it would cost people receiving the calls is not known, Livingston said. The rules allow friends and relatives to purchase time for phone use that an inmate could use like a debit card. The vendor will install and manage the system and the state will get a portion of the revenue. The first $10 million each year from commissions generated by the calls is to go to the state Crime Victims Compensation Fund. The Legislative Budget Board last year estimated annual revenue about $5.8 million, meaning all of the money would go into the victims fund. If revenue topped $10 million, 50 percent of the excess would go to the compensation fund and the other 50 percent to the state's general fund. The rules don't overly restrict an inmate's phone access but do limit calls to people on a preapproved phone list for each inmate. In general, prisoners eligible to make calls would have to be free of major disciplinary violations within the previous 90 days, have a prison job, be in school or in a treatment program. Officials believe that accounts for about 120,000 inmates. One phone will be installed for each 30 inmates, meaning about 4,000 phones will be put in common areas of prisons like day rooms. Calls would be allowed only within the continental U.S. and could be made only to land lines, not cell phones. Inmates would have unlimited calls but couldn't exceed more than 15 minutes per call and 120 minutes per month. Calls to an inmate's lawyer of record, protected under attorney-client privilege, would not be monitored or recorded. Under the current procedures, inmates with good behavior records are allowed one five-minute collect call to an approved person every 90 days and only with the permission of a warden. When the call is made, a prison staff member is in the room to monitor the call, a labor-intensive procedure that takes the employee away from other duties. The phone system also is seen as a way to combat a growing problem of cell phones being smuggled into the state's prisons. I couldn't find a copy of the policy on TDCJ's website, but in general I favor the plan for a number of reasons not mentioned in the article: It helps maintain family ties, reduces cell phone smuggling, and provides a significant incentive for good behavior among inmates. I'm also hoping more regular phone access will increase information to family members and ultimately the public about problems inside TDCJ; it's a lot harder to cover things up when prisoners have a way to tell somebody in the free world what's happening. We've seen a surge in prisoners sending letters home that friends and family members use to create prisoner blogs; maybe when this new technology is in place we'll see audio podcasts from prisoners calling home. Wouldn't that be something? Concerns about the phones' use for criminal purposes, to me, are mitigated by the restricted calling list and recording conversations (except attorney calls). With those restrictions in place, I think the benefits far outweigh the detriments. The agency will put out a request for bids for the project, AP reports, within the next week. I've heard of tunnels across the Mexican border in California and Arizona, but across the Rio Grande! That's an impressive bit of tunneling! Carlos Landin Martinez was found guilty of nine counts including drug trafficking, conspiracy and money laundering over alleged cartel activities from 2005 to 2007. Prosecutors said Landin oversaw an operation in which traffickers wanting to use lucrative smuggling routes across the border into South Texas had to pay Landin a "piso," or tax, to move drugs in cartel territory. Landin was the Gulf cartel's second-in-command in Reynosa, a Mexican city south of McAllen, prosecutors say. Drugs came across on people, on rafts and through a tunnel that opened up through a manhole in Hidalgo, Texas, among other means, according to investigators. The proceeds from drug sales all over the United States were then smuggled back into Mexico, authorities said. Government witnesses, arrested on similar charges and hoping for leniency in their own cases, testified about the operations but did not have firsthand knowledge of Landin, also known as "The Puma." An exception was Antonio Parra Saenz, who testified last week that he saw Landin in a black Suburban in Mexico before he was taken away to be tortured for 15 days after a large load of drugs was seized from his stash house in Pharr, Texas. One aspect of this case that particularly interests me is the decentralized nature of the drug trade. The Gulf Cartel, if we're to believe the government's case, is less a smuggling operation than a gatekeeper into the US for many, smaller-scale smugglers. They maintain the access points - tunnels, corrupt cops and customs officials, etc. - through which OTHER criminal gangs move drugs. By contrast, the Sinaloa cartel has entered alliances with South American cocaine producers and purchased fleets of planes to create a more "vertically integrated" (to use the economists' term) production and distribution system. an alleged cash smuggler for the cartel, took the stand in his own defense. He told jurors that he had never trafficked drugs or money for the cartel, but would often take large sums of cash in to the U.S. to buy cars to sell in Mexico. I've not seen extensive coverage of the trial in the MSM, but it's a safe bet that to get a conviction based mostly on informants who never met Landin, that a great deal of the details of the Gulf cartel's inner workings were exposed in open court. I wish I'd been there to hear it all. Aren't Martha Stewart and other Felons "People"? Dallas DA Defines "Smart on Crime"